Thread: A variety of .224, .277 and .303 projectiles. .270 Factory ammo, reloads, and brass. I’ll take all of the .224 projectiles if they’re available, please pm your deets. 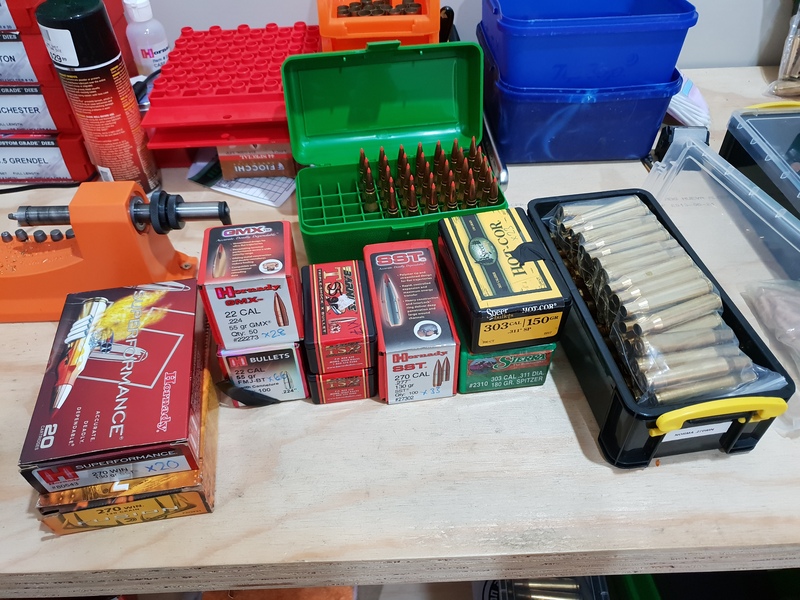 .224 projectiles, 150gr Speers, and 270 Fusion ammo are sold. interested in the 270 stuff. What pills were in the reloads? Quite hot. Happy to pull them and put the pills back in the box. Last edited by PommyMcPomFace; 25-01-2019 at 10:07 AM.